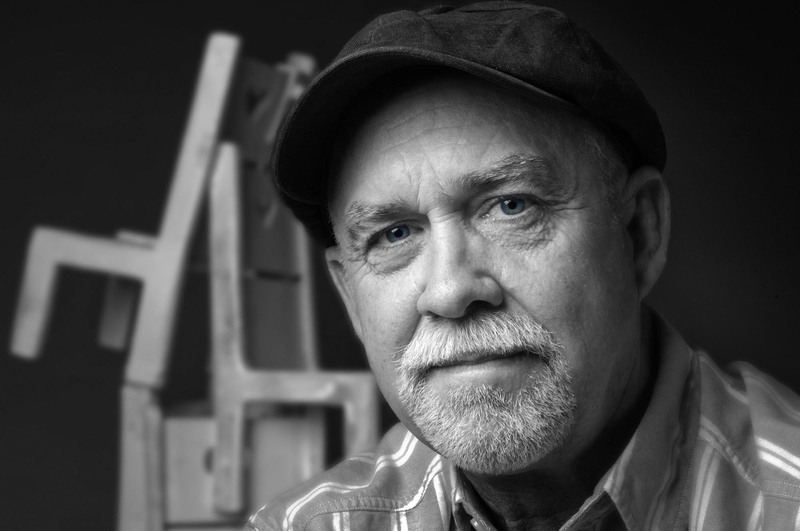 Tolley Marney is an authentic American cowboy artist. It’s not often that a real working cowboy is able to become an artist. The cowboy life doesn’t usually include art training or even the opportunity, but sometimes, life and talent merge in mysterious ways and magic happens. 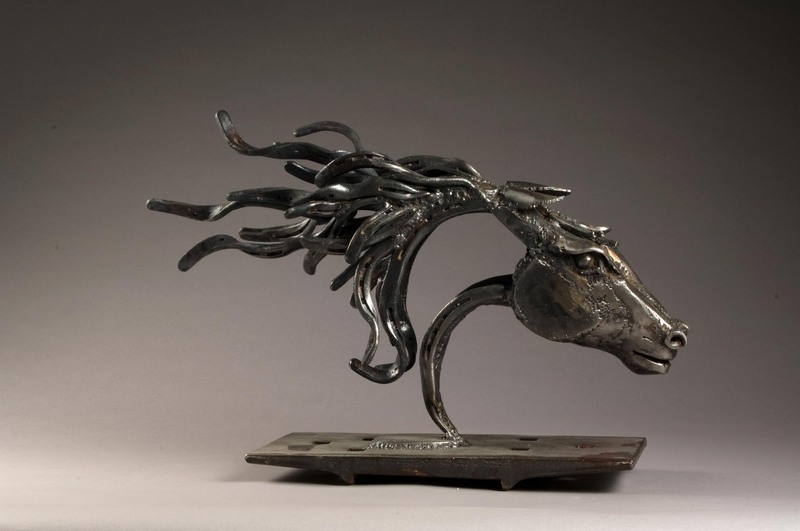 Tolley is one of those cowboys who have found artistic magic. The heritage skills that are part of the true cowboy life, like shoeing horses and fixing most anything on a ranch led Tolley to focus on traditional blacksmithing. 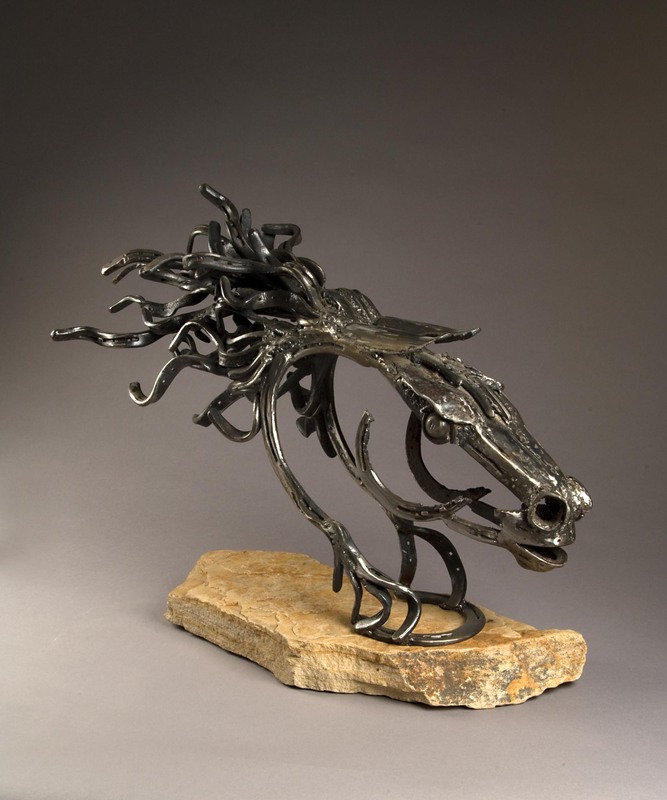 Tolley’s technical expertise as a blacksmith and farrier (horseshoer), combined with modern metal working techniques gives his art the integrity of his singular artistic vision. 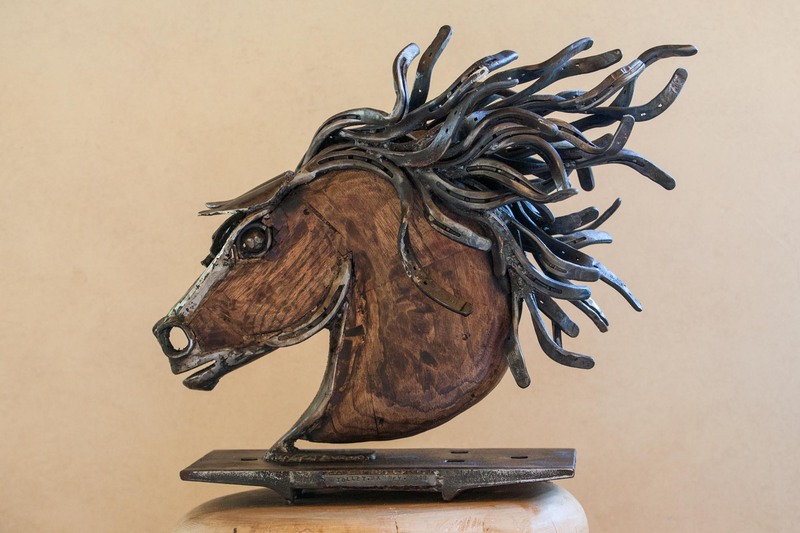 The results are beautiful sculptures of horses. 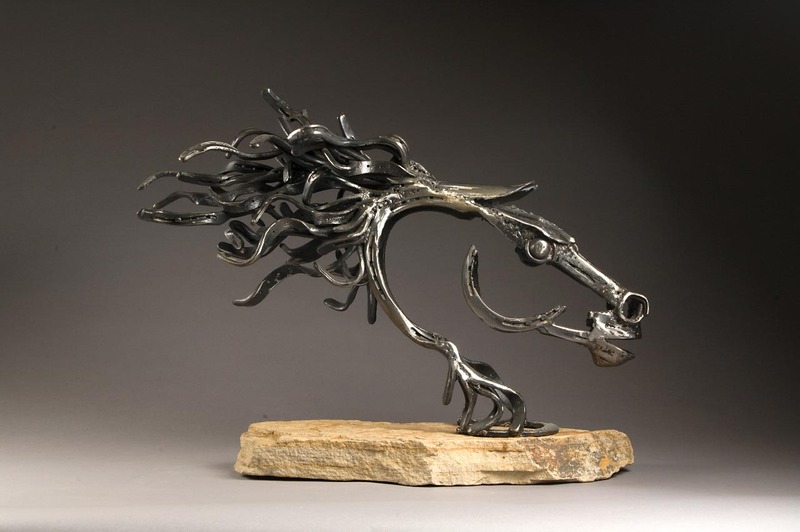 Steel transforms under the blows of his hammer into fluid and twisting lines and shapes that combine to form iconic images of the western horse. Tolley lives in California, traveling between homes in the Mojave desert and the Tahoe Basin. 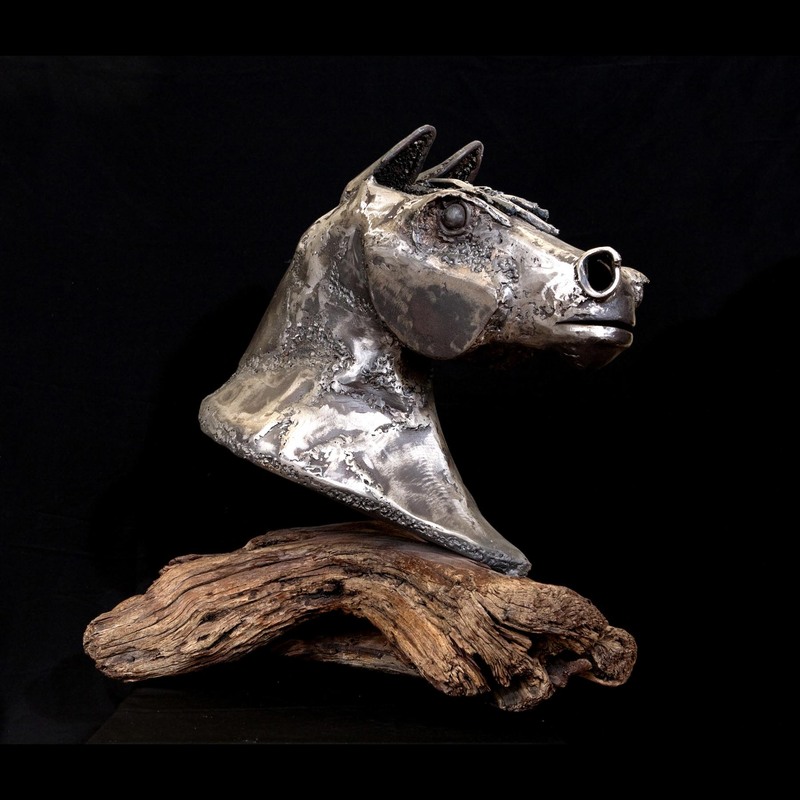 Marney’s iconic horse images have been featured in the periodicals, Southwest Art and Palm Springs Life. 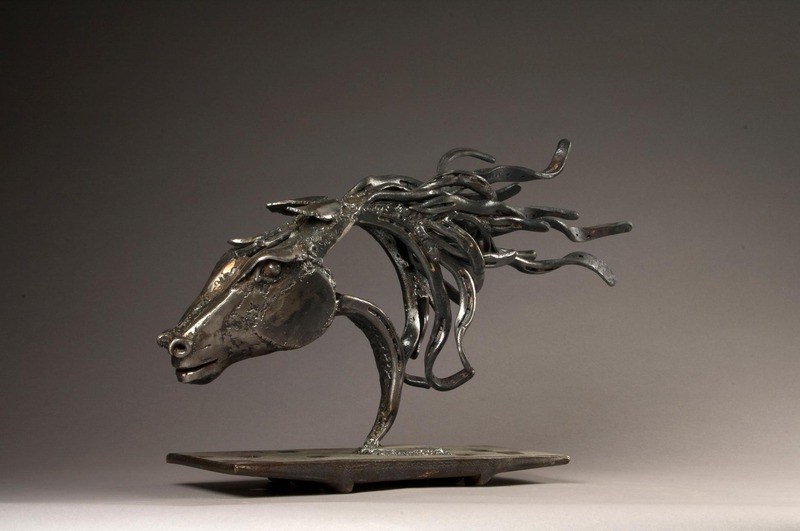 Marney won first prize in the New Jersey Equine Art Expo in 2003. 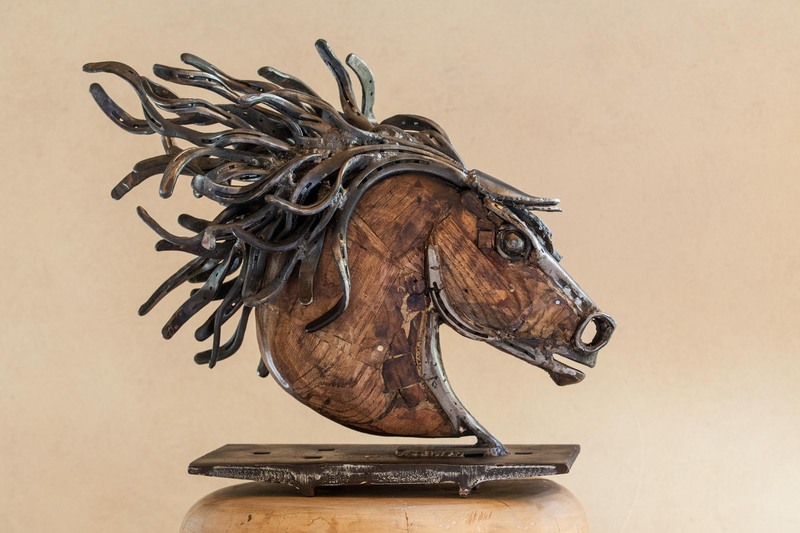 His sculptures have been exhibited in premier art galleries in New York, Truckee, Palm Springs, Santa Barbara and San Francisco and are in many private collections.